The dice roller is very easy to use, simply type in the formula in the box and press enter. Roll20 features support for a wide array of dice mechanics. For the complete list, visit this page. With exploding dice, if you roll the maximum number on the dice (a 6 with a d6, a 10 with a d10, etc.) you get to re-roll again and add the additional roll to your total for that roll. If the additional roll is also a maximum number, you get to keep rolling! To perform a roll with exploding dice, just add an exclamation point after the number of sides in the formula. For example, /roll 3d6! would roll 3 d6 dice with exploding re-rolls. You can also define the exploding point for the dice using the greater-than and less-than symbols. For example, /roll 3d6!>4 would explode on any dice greater-than or equal-to 4. /roll 3d6!3 would explode only if a 3 is rolled. Some game systems ask you to roll a large number of dice, and then either drop a certain number of the lowest rolls, or keep only a certain number of the highest rolls. Roll20 supports this type of roll through the d and k commands, respectively. For example, you might roll 8 d100 dice and only be allowed to keep the top 4 rolls. In Roll20 this would be expressed with /roll 8d100k4. When Roll20 prints the output from that roll, you'll see each individual d100's rolled value, and all but the top 4 rolls will be greyed out. 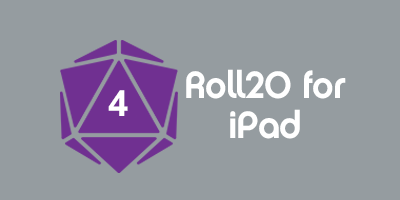 Roll20 will then give you the total of the top 4 rolls. Doing a roll to drop the 3 lowest rolls would be very similar: /roll 8d100d3. Again, the value of each dice rolled will be displayed, with the 3 lowest rolls greyed out. This page was last modified on 12 February 2015, at 18:09. This page has been accessed 120,071 times.